Below are some (we think) indispensable books and resources that PLTC members have recommended to other members. These resources have been gathered from the PLTC listserv and elsewhere, and have been compiled here. Smyer, M. & Qualls, S. (2018). 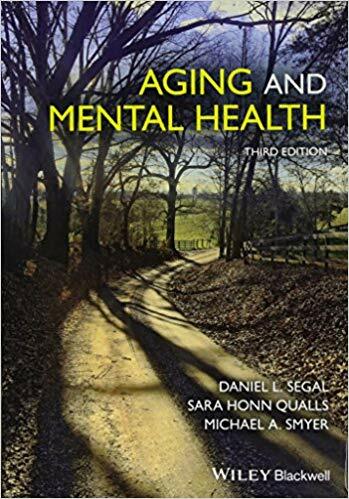 Aging & Mental Health, 3rd Edition. Wiley Blackwell. Ideal for advanced students and service providers in psychology and mental health, and for clinicians who are experienced mental health service providers but who have not had much experience working specifically with older adults and their families. Brink, T. L., & Lichtenberg, P. A. (2014). Mental health practice in geriatric health care settings. Routledge. Co-authored by former PLTC President and prolific researcher and author, Dr. Peter Lichtenberg, this is an essential text for long-term care mental health practicioners. It covers neuropsychological assessment, evidence based treatment, capacity and competency, caregiving, and more. Edelstein, B. A. (Ed.). (2001). Clinical geropsychology. Pergamon Press. 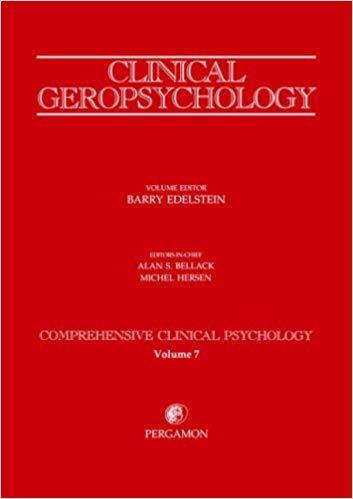 This indispensable and classic edited volume brings together multiple authors well-known to the geropsychology world, with chapters on subjects like sexuality, neuropsychological assessment, sleep disorders, and intellectual disabilities in late life. Grisso, T., & Appelbaum, P. S. (1998). 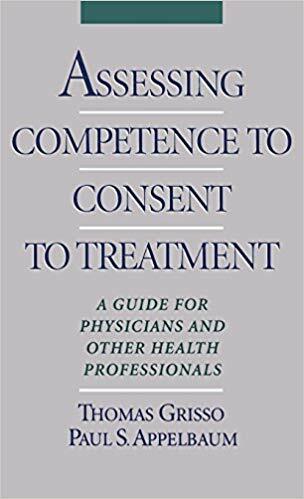 Assessing competence to consent to treatment: A guide for physicians and other health professionals. Oxford University Press, USA. Psychologist and psychiatrist duo Thomas Grisso and Paul Appelbaum cover the clinical, ethical and legal aspects of assessing decisionmaking capacity, and so thoroughly that we continue to recommend this book to professionals today – at least for the sheer influence this work has had in the field. Lichtenberg, P. A., Kimbarow, M. L., Wall, J. R., Roth, R. E. & MacNeill, S. E. (1998). 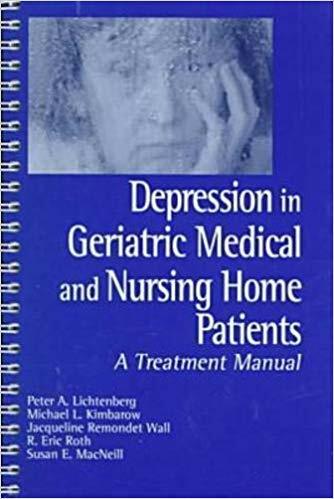 Depression in Geriatric Medical and Nursing Home Patients A Treatment Manual. Detroit, MI: Wayne State University Press. Pete Lichtenberg (former PLTC president) and colleagues Jacqueline Wall and Michael Kimbarow offer a straightforward, step-by-step treatment approach for practitioners to use in long-term care settings. Lichtenberg, P. A. (Ed.). (2010). 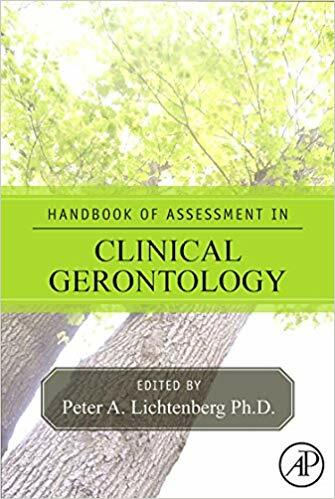 Handbook of assessment in clinical gerontology. Academic Press. 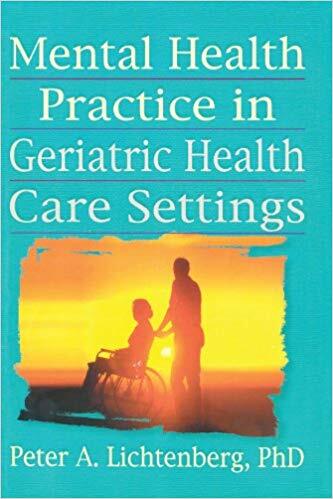 Now in its second edition, this is easily an essential item for any geriatric assessment professional’s personal library. From assessment of mood, personality, family caregivers, and capacity, this book provides up-to-date information and clinical tools that you can use in your practice today. Segal, D. L., Coolidge, F. L., & Rosowsky, E. (2006). 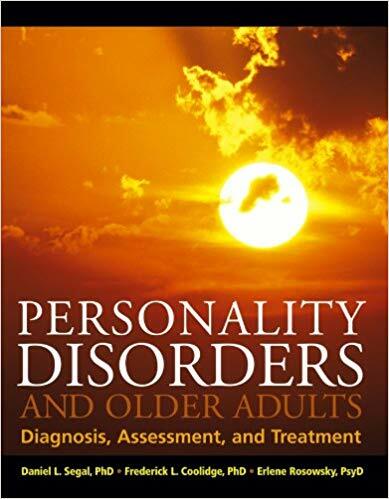 Personality disorders and older adults: Diagnosis, assessment, and treatment. John Wiley & Sons. A must-have for any geriatric psychologist or mental healthcare professional working with older adults, this book comprehensively covers one of the most pernicious clinical problems faced in the field. Co-authored by longtime PLTC member Erlene Rosowsky. Long, S. W. (2014). 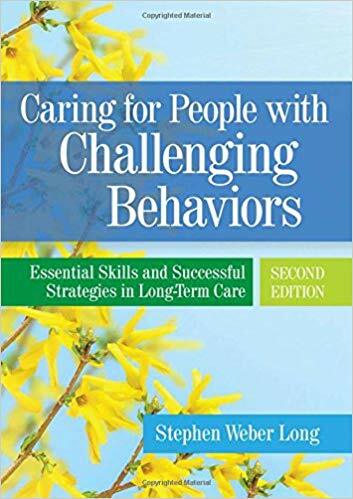 Caring for people with challenging behaviors: Essential skills and successful strategies in long-term care (2nd Edition). Health Professions Press. Now in its second edition, psychologist Stephen Long uses his many years of experience as a nursing home psychologist with the Department of Veterans affairs, and his unique experience as a psychoanalytically trained clinician to inform his approach for managing difficult behaviors in the long-term care setting. Robinson, A., Spencer, B., & White, L. (2007). 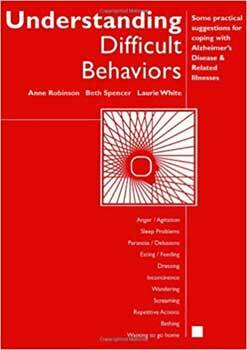 Understanding difficult behaviors: Some practical suggestions for coping with Alzheimer's disease and related illnesses (3rd Edition). Ann Arbor, MI: Eastern Michigan University. Largely eschewing theory and more focusing on a ready-to-use “cookbook style” approach, this book is designed for those who find themselves bedeviled by the myriad of behavior problems that dementia patients may exhibit. Up there with “The 36 Hour Day” as an indispensable resource for professional staff (and savvy family caregivers) alike. Bourgeois, M. S. (2014). 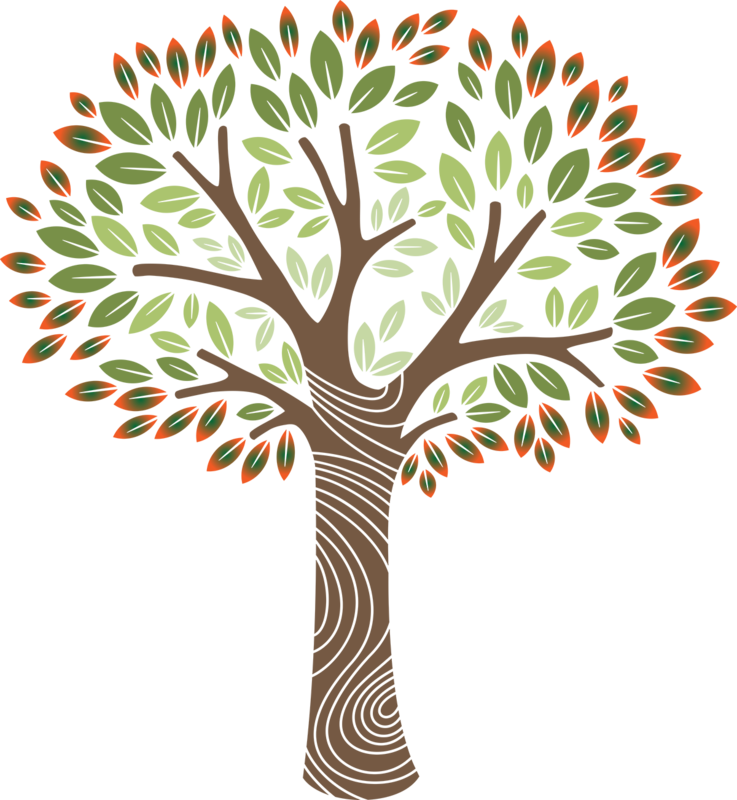 Memory and communication aids for people with dementia. Health Professions Press, Incorporated. 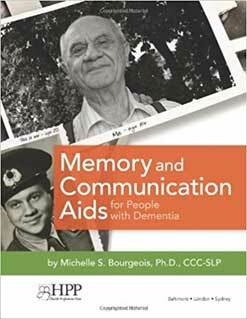 Written by noted speech and language therapist Dr. Michelle Bourgeois, this book comprehensively covers the low-tech and high-tech options available for helping to maintain independence when faced with the many memory, communication, and behavioral issues caused by the dementias.